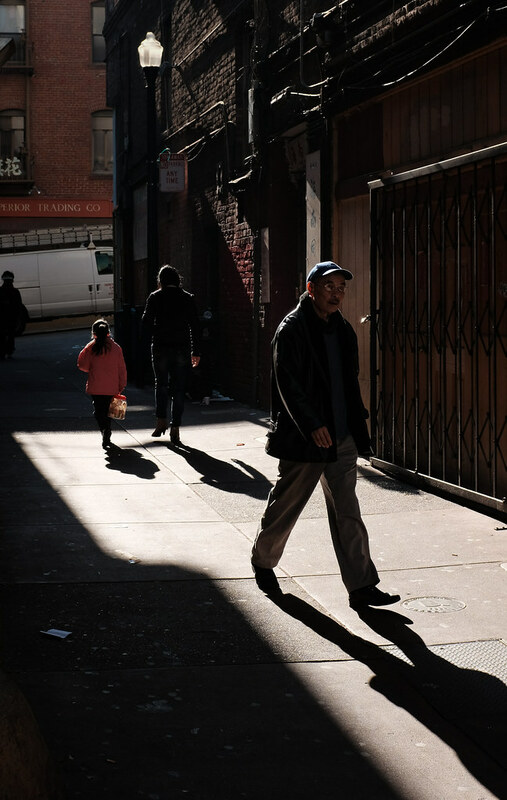 San Francisco’s Chinatown is an area rich in photographic opportunities for street photographers! 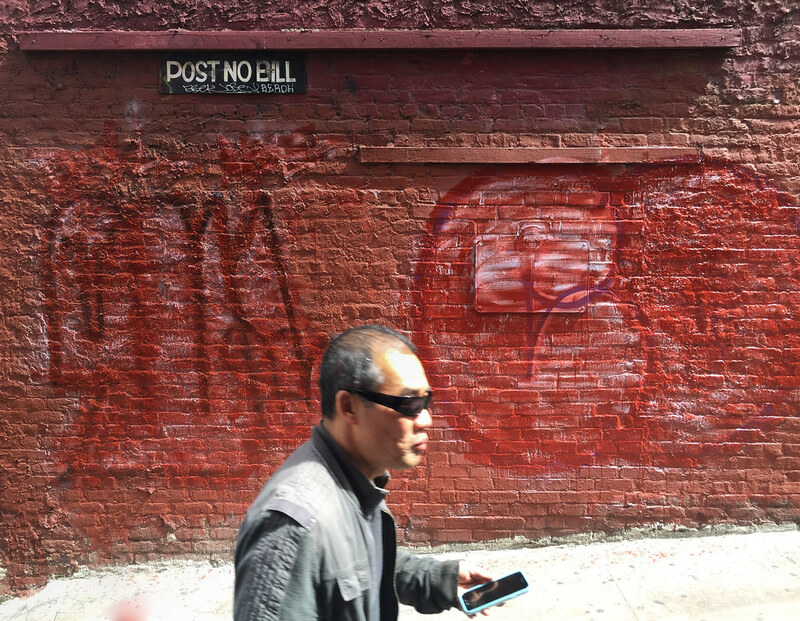 My friend Doug Kaye and I always enjoy a few hours on the streets of Chinatown – so many interesting places, always a lot of people out walking, etc. 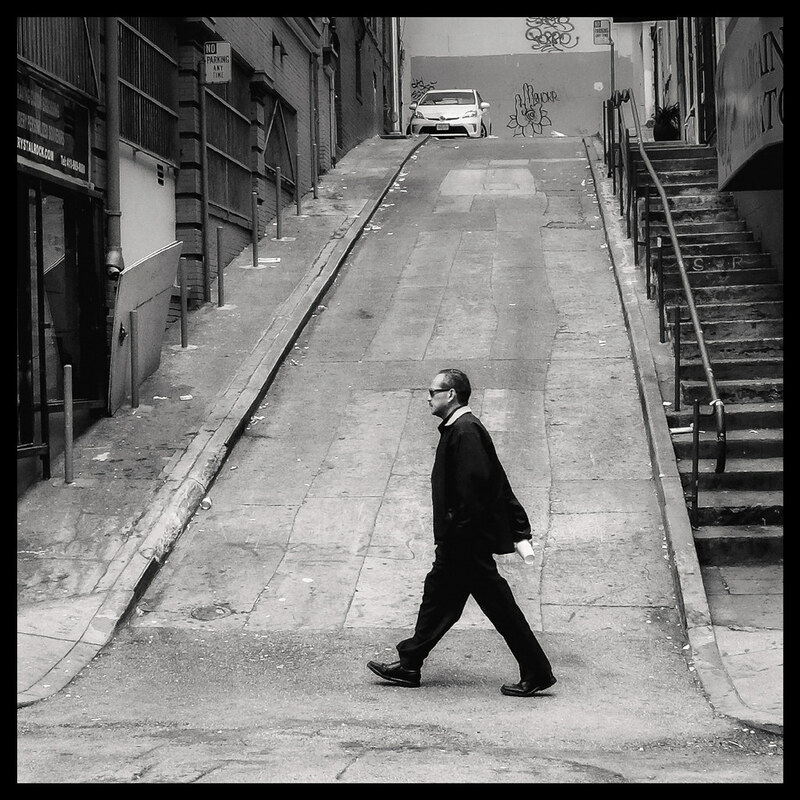 – it’s a perfect street photography venue. 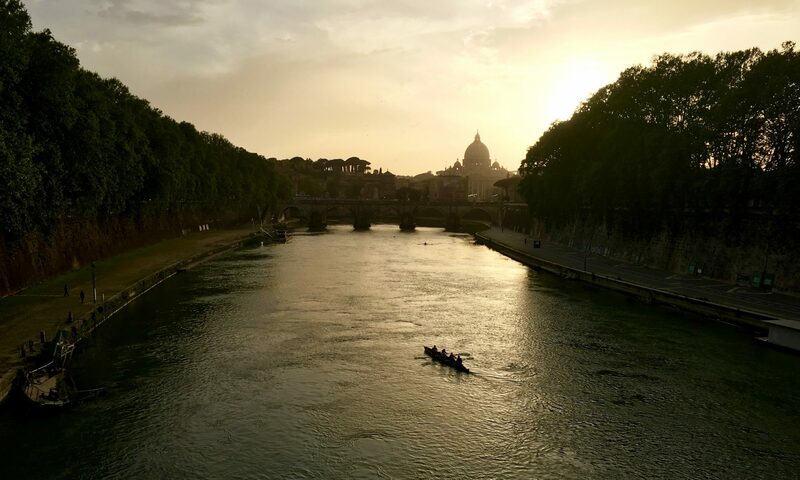 And, if you time it right – and get the sun angles aligned with the streets themselves, it becomes almost magical. We’ve been to Chinatown twice so far in 2015 – the first time on January 2 and, most recently, last Friday March 20. On both occasions, we timed our visit to a align with the sun using the The Photographer’s Ephemeris, a very useful tool for this kind of advance planning. 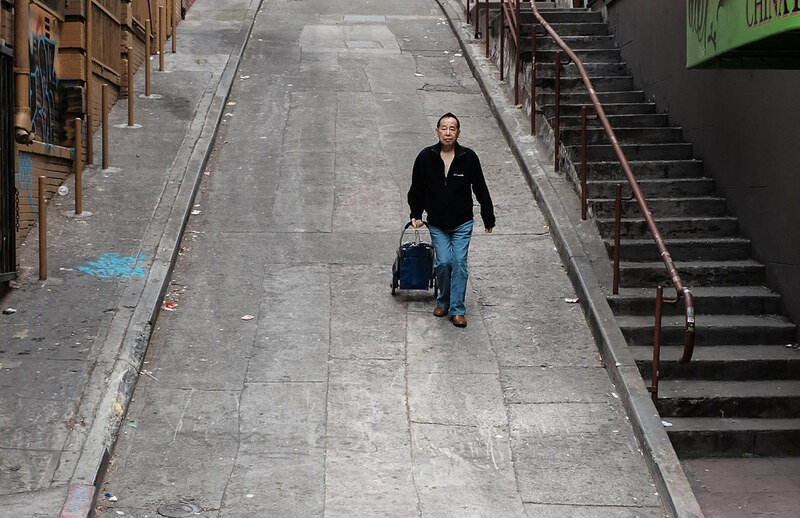 While the sights along Chinatown’s main market street – Stockton Street – or along Chinatown’s “main drag” Grant Avenue are always fun, we’ve come to love the alleyways of Chinatown and can get lost in them for considerable stretches of time! Two of our favorites are Ross Alley and Vinton Court. Ross Alley runs between Jackson and Washington Streets and is just a single block long. Part of what makes it fun is how narrow it is – and the fact that it seems to get a lot of foot traffic with folks walking through the Alley. I assume it has something to do with no automobile traffic – making it great for just walking. 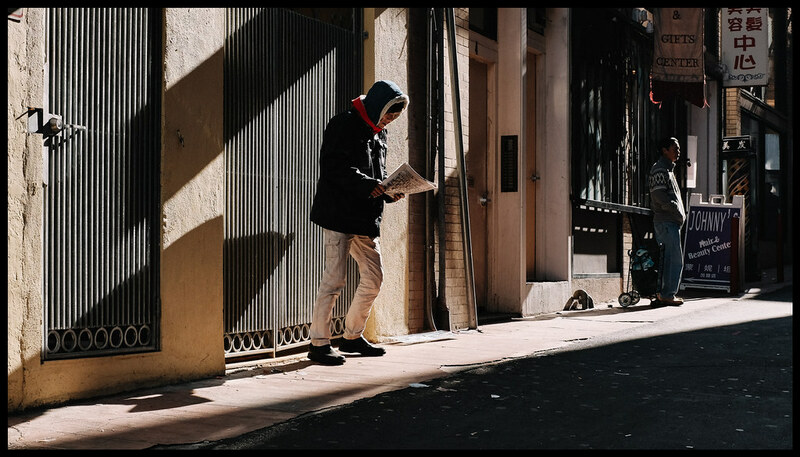 Here are a few images I’ve shot on Ross Alley. 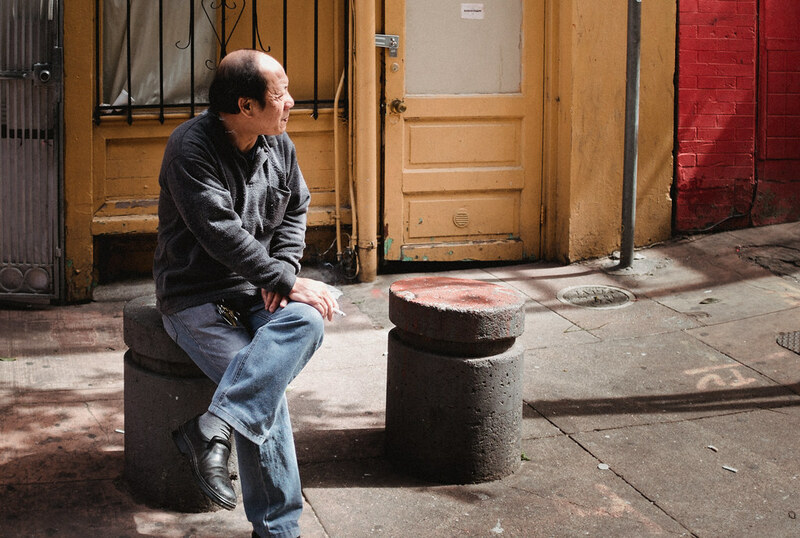 Another favorite spot of ours in Chinatown is Vinton Court at Grant Avenue. Vinton is a street that is a half block long which intersects with Grant Avenue near Pine Street. 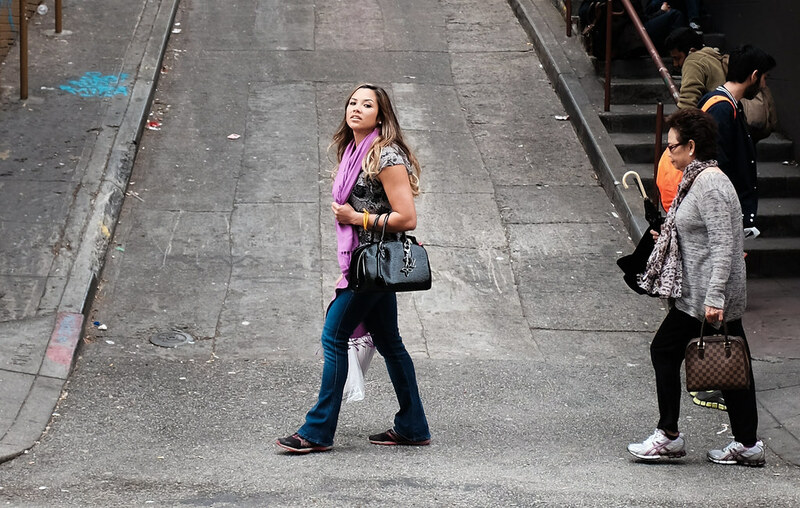 What’s great about Vinton Court is that the street itself provides a great background for capturing people walking along Grant Avenue. It helps isolate them – they’re not up against some noisy background of shops and stores. Plus, it’s just interesting – with the steps going up on the right with the handrails, etc. Here are a few images I’ve shot at Vinton Court. 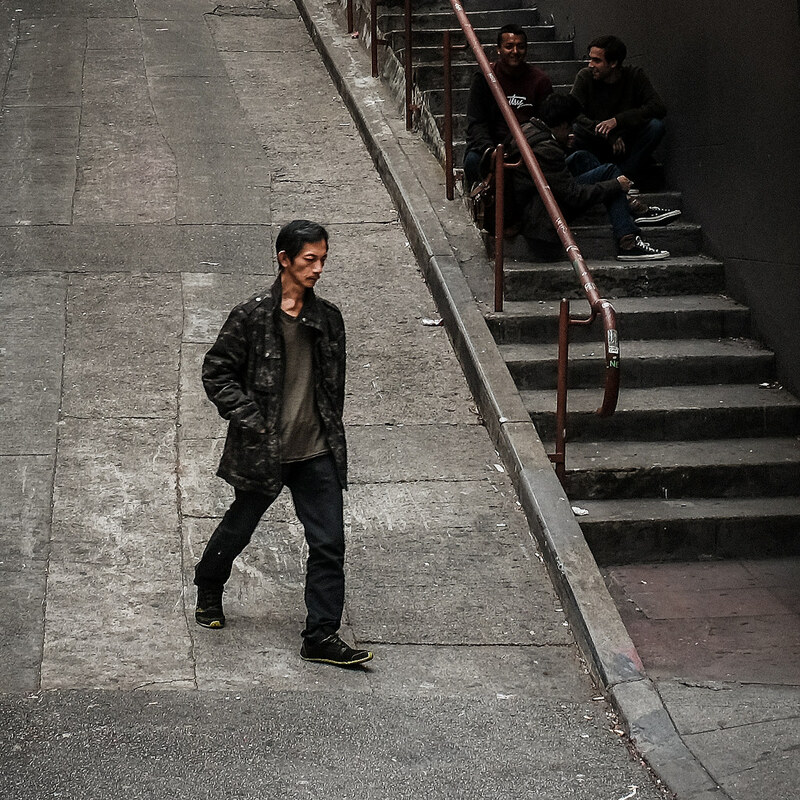 As you can see from these examples, both of these spots in San Francisco’s Chinatown offer some great street photography opportunities. If you go and take some pictures there, let me know – I’d love to see them!